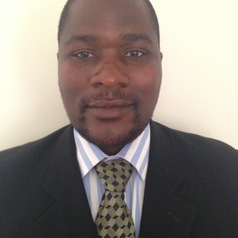 I have experience in university teaching, professional practice and research in Zimbabwe and Australia. My work centres on social justice in relation to marginalised groups. I have Bachelor of Social Work (Honours) & Master of Social Work degrees from the School of Social Work, University of Zimbabwe, and a PhD from the University of Newcastle, Australia. In 2009, I was elected to the position of Vice-Chairperson for Regional Executive Committee of epilepsy associations in Africa affiliated to International Bureau for Epilepsy (IBE) and became Chairperson of the Committee and IBE Vice-President (Africa) in 2017. I practiced social work at Epilepsy Support Foundation in Zimbabwe from 2004-2011 and joined the Bindura University of Science Education in Zimbabwe in 2011 as a lecturer, the University of Newcastle (Australia) in 2014 as a PhD student and the University of Wollongong in 2017 as a lecturer.